Your day to day business routine probably doesn’t entail Electrical. This is where a skilled Electrician For Business can help. Whether you are launching a startup or helping an established firm navigate the ups and downs of today’s business climate, having the right Electrical System, with the capacity for handling your organization’s requirements, is one of the foundational building blocks for your success of your business and comfort of your employees. Between your customers, employees and other stakeholders, most businesses have larger and more complex electrical needs than the typical single family home or apartment. The wiring that brings power to your business is the backbone of your electrical system. Let’s take a look at some key considerations in making sure your commercial electrical wiring is up to the task. From industrial machinery, to IT infrastructure, to advanced security systems, to heavy duty HVAC equipment and lighting, businesses across industries generally require more electricity than residential dwellings. Heavier electrical loads means that Commercial Properties usually require a larger volume of electrical wire and electrical equipment than individual homes. In addition, commercial wiring often requires extra protection to withstand high levels of heat, environment and sometimes from exposure to chemicals. Unlike most homes and apartments where electrical wires are embedded inside the walls, commercial electrical wire is often exposed and runs along the surface of the wall. To protect it from ordinary wear and tear as well as accidental damage, exposed commercial wiring is typically run through metal or plastic piping known as conduit. It makes remodeling projects easier and cheaper. Wiring can be easily upgraded without having to also tear out and rebuild the wall. Conduit may be used indoors or outdoors. Conduit material may be rigid or flexible depending upon the needs of the customer. While rigid conduit offers more substantial protection from damage, flexible materials allow wiring to be installed in hard-to-reach locations. Most residential homes and some small businesses use what’s called single-phase wiring, while larger businesses, which need greater electrical capacity, use three-phase wiring. Electrical current travels in electromagnetic waves, which run in cycles of 60 times per second. This is considered 60HZ. Single-phase wiring supplies electrical current in just one wave cycle to supply power to a location. During each cycle, there is a fraction of a second when the wave passes through a zero point, which means that no power is being supplied during this brief moment. Because the zero point is so brief, however, it is generally not a problem in supplying the electrical needs of most homes and small businesses. Three-phase wiring uses three overlapping wave cycles. When one cycle hits the zero point, the other two cycles are still active, which means you don’t get that small interruption in the power supply. This is why three-phase wiring is more appropriate for organizations with heavy power needs. Single-phase wiring supplies 240 volts of power to a home or small business in two legs of 120 volts each, while three-phase wiring supplies 208 volts, with three legs of 120 volts and leg to leg of 208 volts. There is also 3 Phase 240V which is considered a Delta Service but we will not touch on that here. Your electrical system is governed by the National Electrical Code (NEC), which provides a minimum for electrical safety. Many local governing authorities use the NEC when establishing regulations to ensure public safety with regard to electricity. They have the authority to require higher levels. The NEC defines important criteria such as proper grounding and correct power connections for commercial electrical systems. Only a licensed electrician may work on commercial electrical wiring. It’s important that your commercial electrical services are performed by someone with thorough knowledge of the NEC and how to apply it to your project. This ensures that your electrical wiring installation is done correctly and safely. 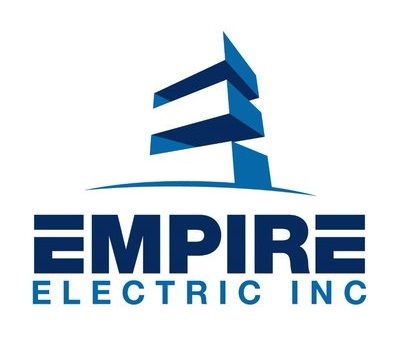 Do you need to install or upgrade the electrical wiring for your business? Is your current electrical system compliant with current regulations? Contact us for answers to these and other questions about your commercial electrical wiring. We’ll help you make sure your system has the capacity to provide the electricity you need and protect the safety of your employees and customers.